How does control of media resources serve political and economic ends? What is the impact of media concentration and monopoly in the era of technology convergence, with not just traditional and ‘new’ media but also consumer electronics, telephony and computing industries? 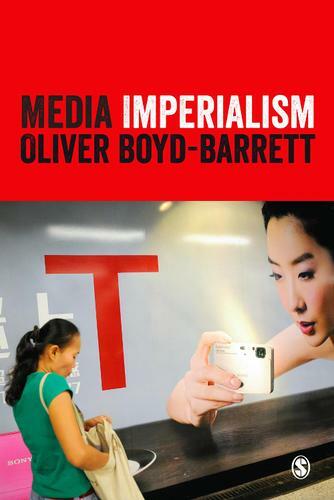 Revisiting the classic concept of media imperialism, Oliver Boyd-Barrett presents a thorough retake for the 21st century, arguing for the need to understand media and empires and how structures of power and control continue to regulate our access to and consumption of the media. It's no longer just Disney and Dallas - it's also now Alibaba, Apple, Facebook, Google, Samsung and Huawei. the passion for social justice that inspired the original theories of media and cultural imperialism, and how it has been embraced by a new generation. Digging deeply into the global landscape and emerging media markets to explore how media power works across transnational boundaries, this book gives a clear and sophisticated argument for why media imperialism still matters.